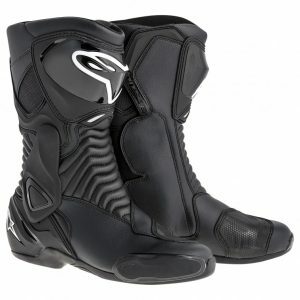 Have a look through our great range of Motorcycle clothing from RST, Dainese, Ducati, Merlin and many more. The S-MX 6 Boot in white/black/red is a performance boot for both track and street that is anatomically profiled and packed with innovative features, the S-MX 6 incorporates the latest advancements in Alpinestars’ performance footwear design and development. Every component on the CE certified S-MX 6 has been carefully designed to give you a crucial performance edge or keep you on the track for longer, in the form of protection innovations, improved ergonomics and comfort features.